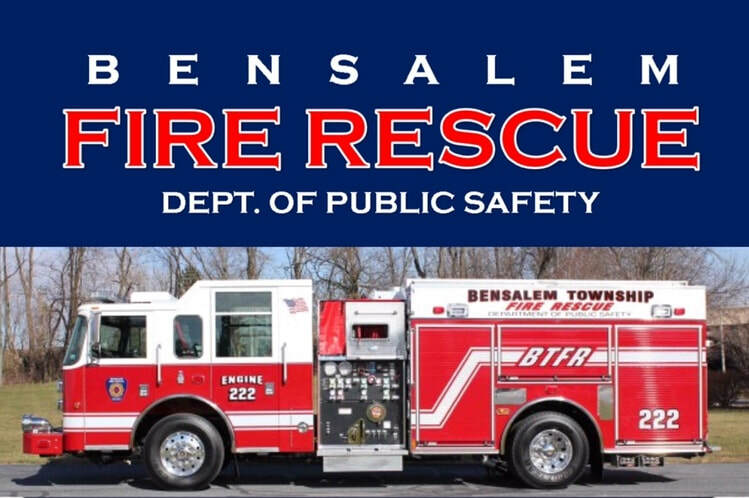 Bensalem Township Fire Rescue is a division of the Department of Public Safety providing fire suppression, technical rescue, hazardous materials, QRS (medical), fire inspections, fire / arson investigations, fire prevention / public education, and fire code plan review services. Bensalem Fire Rescue is committed to providing emergency and non-emergency services to protect the lives, property and environment of our community. With over 60,000 residents and an estimated quarter of a million people during business hours, Bensalem Township is the largest municipality in Bucks County, PA. In October 2010, the first career fire department in Bensalem Township was established (Bensalem Township Fire Rescue). BTFR works closely with the six volunteer fire departments located throughout the township. Prior to October 2010, Bensalem Fire Rescue was known as the Bensalem Township Fire Marshal’s Office and was responsible for fire inspections, fire investigations, fire prevention programs and fire code plan review. It is the mission of Bensalem Township Fire Rescue to protect our citizens, visitors and their property from the risk of fire, explosions, and other hazardous conditions. This mission will be accomplished through aggressive fire investigations, fire suppression, fire code enforcement, and fire prevention education. We will actively participate with our community, serve as role models, and strive to effectively and efficiently utilize all resources made available, to provide safety and excellent customer service to the citizens and visitors of Bensalem Township.